See Why This Kid Got The Most Epic “I Owe You” Note From The Tooth Fairy. Kids, let this be a lesson for you! 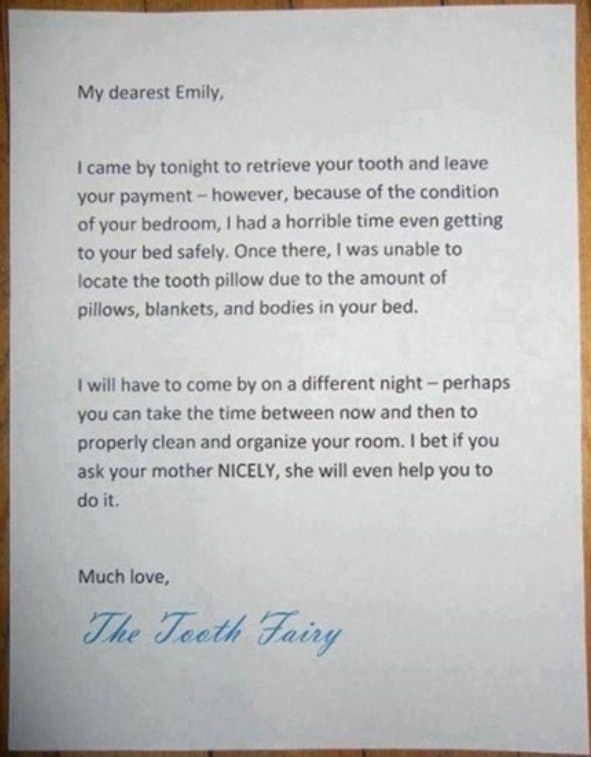 A dirty, messy room can be a very dangerous place for the tooth fairy late at night. It’s dark, and sometimes difficult to maneuver your way through a room with many unwanted obstacles in the way. And how is the tooth fairy supposed to find your tooth in such a mess?? 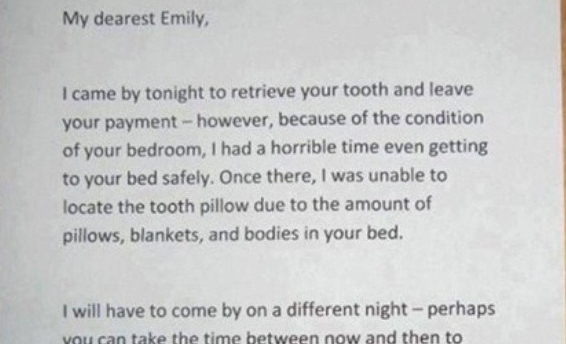 Well, this tooth fairy decided to shut down this little girl’s payment and the most epic way! 15 Photos That Will Make You Realize That Maybe YOUR Day Wasn’t So Bad! [VIDEO] Justin Bieber Put In A Chokehold And Thrown Out Of Coachella!